Any advice or is the damage done? Before and after pics. The coin is very rough now. Any help is appreciated. First: what metal is the coin made from. This determines what chemicals you may use and what you should never use. Safest method is a water soak then with high magnification and a tooth pick to remove crust and dirt. Repeat until clean or remaining stuff is too herd to remove. Safest method is a water soak then with high magnification and a tooth pick to remove crust and dirt. Lemon juice can pit silver making it rough- bad news is that if is what happened it can not be reversed since metal was removed. Just looked up you find post to see pics of this coin before you tried to clean it. Looks like the black was there and did not come off but the surface got rough. If you want to try again I would go with the Aluminum foil and baking soda method. Do check for the sulfur smell to know the silver sulfide is being converted to silver and hydrogen sulfide. If you do not smell sulfur then this is not working. This is the Galvanic method and converts the tarnish into hard metal. Or leave it alone until you get experience cleaning other silver with less value. Thanks for the input. This post has before and after photos. The first lighter ones are before. The darker ones after. I figure at this point the baking soda foil trick can’t hurt. Yes, the Galvanic foil and baking soda is safest and also slowest. 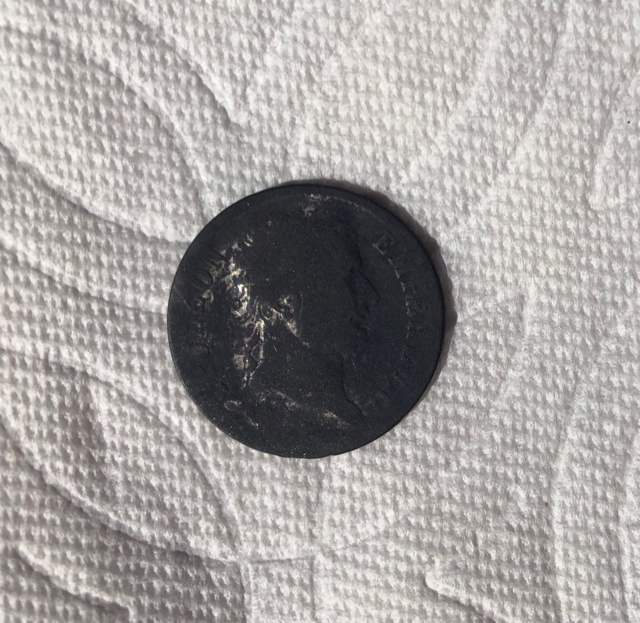 Do sniff for the sulfur smell, this tells you that it is silver sulfide on the coin and it is being converted to silver and hydrogen sulfide. If you do not smell sulfur then the coin does not have silver sulfide and this method will not work. This may also indicate the coin is not silver. Awesome! Thanks again. I will post an update with my results in a few hours. I should probably stop cleaning my finds. But I love seeing the details of a coin. I guess I should try loving patina more. Lets hope this franc isn’t a counter fit made from something else . Please lets us know how the foil method goes. That looks much better. I'd be happy with that. How long did the foil method take? It literally took about 20 seconds. Great, I didn't expect it to work that fast. Very nice end result... enjoy it ! Great teamwork Guys! Its nice to see you got an assist from Forum Member Waltr! Really turned out great looking there TrashMaster! Great post and assist and final product! 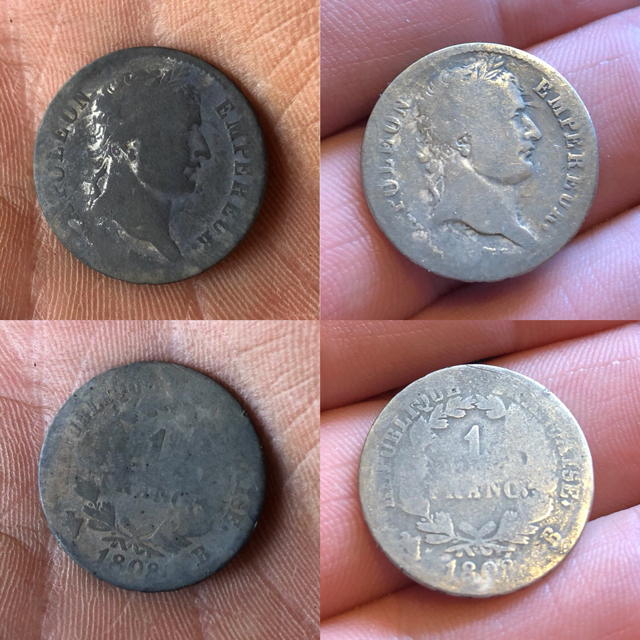 Thats a cool coin, nice cleaning job too! Holy %^$% that came out awesome..
Wow, that is amazing. Never heard of the foil trick, but thanks whoever suggested that.